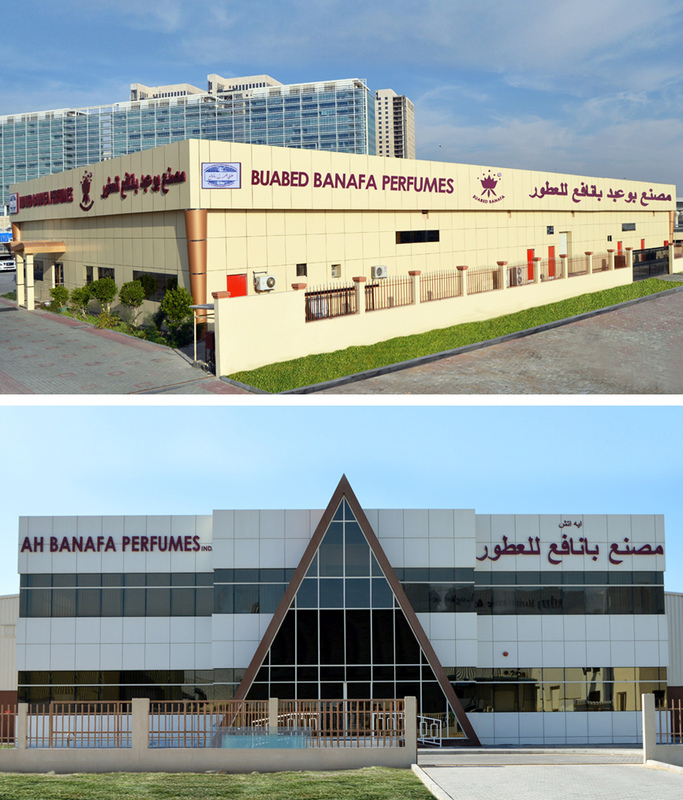 Buabed Banafa Perfumes Industry was started in 1995 in Jebel Ali Free Zone North with a mission for quality and excellence. It is considered one of the pioneers in Perfume Manufacturing with its different blended fragrances of both the attractive Eastern and European origins and all kinds of cosmetics. We have had a sufficient experience in this field since 1975. We started our manufacturing facility in Jeddah, Saudi Arabia in 2003 with Personal Care Products like Shampoo, Hair Oil etc. to maintain a close relation with local customers at all levels. We extended our manufacturing facility A.H. Banafa Perfumes Industry in Jebel Ali Free Zone South with the state of the art technology to manufacture cosmetics and skin care products. It was built accordingly to be apt to the latest designs in manufacturing perfumes on the basis of mass production of new kinds of perfumes that will hit the market soon. The main mission of the factory is to select the best fragrances that please the customers. The factory is developing its competitive products that compete with international perfumes. Not only do we manufacture our specific perfumes but we also produce perfumes that meet the needs of our customers. We increased our production quota using highly advanced quality equipment to reach 500 types of spray perfumes and more than 150 varieties of dense perfumes (used as a fragrance for clothes and body) and more than 600 items of oily perfumes that were manufactured according to the gulf and international standards. All these perfumes were synthesized out of Arabic, African and European blends. All of our fragrances have been conceived, created, developed and manufactured in-house. Our List of Products includes: Body Care, Hair Care, Skin Care, Perfumes, Creams, Soaps, Body Lotions, Powder, Hair Oils and others. Moreover, we also design special fragrances on demand for customers who ask for uniqueness. Our strategic marketing is based on our hard work and persistence which make our production compete with the international productions on originality, clean completions, and affordable prices.